SQM Research Louis Christopher says the housing slowdown is heading into "crash territory", but opinions vary among agents and property commentators who argue the decline is relatively "unremarkable". Pictured: 7 James Street, Balmain. Sold through Monique Dower and Madeleine Russell of Belle Property Balmain, as seen on Luxury List. The housing slowdown hits again, as tight bank credit rules hit buyers the hardest in Sydney and Melbourne. CoreLogic's preliminary clearance rate fell to 47.4 per cent, the lowest since June 2012 when it was 43.5 per cent, as the number of auctions dropped thanks to the Melbourne Cup unofficial long weekend. Sydney's preliminary clearance rate of 47.7 per cent is a six-year low, while Melbourne's preliminary clearance rate of 50.5 per cent was slightly higher than last week's 49.8 per cent. Commentators say Sydney and Melbourne are expected to bear the brunt of the credit-induced housing market decline. SQM Research Louis Christopher says the weekend's sub-par preliminary clearance rates are "crash territory". Pictured: SQM Research Louis Christopher believes the market is heading for a "crash". Image by SQM Research. "Auction clearance rates this low in Sydney and Melbourne effectively translate into price falls of between 1.5 per cent and 3 per cent per quarter. That is crash territory for housing if this state of affairs persists," he said. But listing agent Jeremy Desmier of Fletchers Canterbury doesn't agree. "I don't think it's heading for a crash, I certainly think there has been a change in the market. There is not the volume of buyers or the competition, and so the heat has gone out of the market which is reflecting time on the market. It has affected prices but I don't foresee a crash. There are still buyers who are there who are ready to buy when the time is right," he told WILLIAMS MEDIA. CoreLogic's Tim Lawless says "the trajectory of decline is actually quite unremarkable" and believes a "crash" is unlikely. 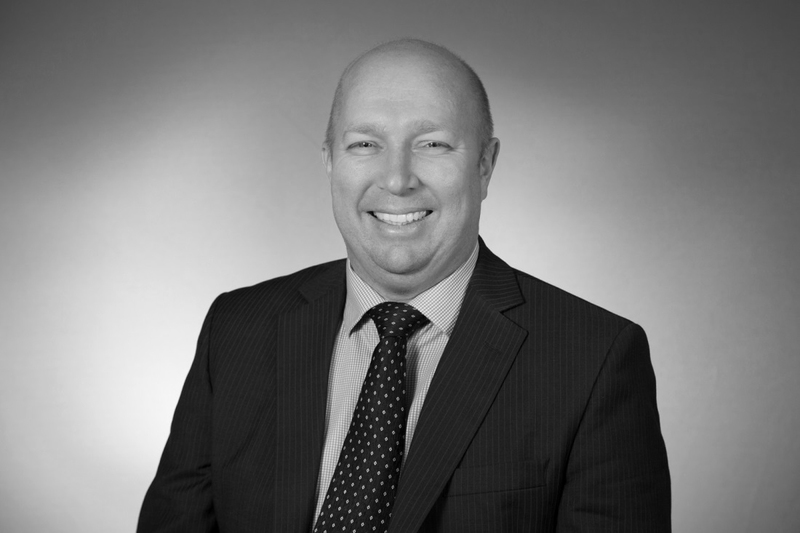 Pictured: Tim Lawless, Head of Research at CoreLogic. Image by CoreLogic. "It should come as no surprise that some commentators are forecasting a substantial reduction in dwelling values. We saw similar forecasts during previous downturns from the likes of Steven Keen, Harry Dent and Jeremy Grantham as well as many others. The most recent dire prediction to get mainstream airplay was from Martin North predicting a 40-45 per cent fall in dwelling values; albeit with only a 20 per cent chance of this occurring. "Since airing on 60 Minutes, the segment titled ‘Bricks and Slaughter’ has seen the two primary experts featured, Martin North and Louis Christopher, clarifying their televised comments which were apparently presented in an unbalanced context: a presentation of the worst case scenario with no regard for the most likely outcome," he told WILLIAMS MEDIA. "Overall, it’s hard to see a scenario where Australian housing values could fall off a cliff. For this to happen we would need to see a material about-face in labour market conditions, a global shock or a material rise in interest rates – none of which seems to be a likely outcome at the moment." Mr Lawless says with households more sensitive than ever to interest rate movements, small changes to mortgage rates would have a big impact. "Further out of cycle movements in mortgage interest rates could have a negative impact on the market. "On the flipside, if the RBA decides to cut the cash rate further (a possible scenario of economic conditions weakened and housing price falls accelerated), this would likely see a rise in housing activity and help to place a floor under housing prices." President of the Real Estate Institute of Australia (REIA) Malcolm Gunning doesn't believe interest rates will rise any time soon. “For home buyers, the latest inflation data together with a cooling in the housing market would suggest that the RBA will hold official interest rates stable for some time yet. “With the RBA meeting next week, the latest inflation data together with a cooling in the housing market suggests that home buyers can be comfortable in this knowledge," Mr Gunning told WILLIAMS MEDIA. Melbourne saw the most notable dip in volumes this week; the lower volumes is what we traditionally see the week just prior to the Melbourne cup festivities, while also coming off the back of the second busiest week for auctions this year last week (1,709). There were only 264 Melbourne homes taken to auction this week, returning a preliminary clearance rate of 50.5 per cent. Last week, a final clearance rate of 48.6 per cent was recorded across the higher volumes. 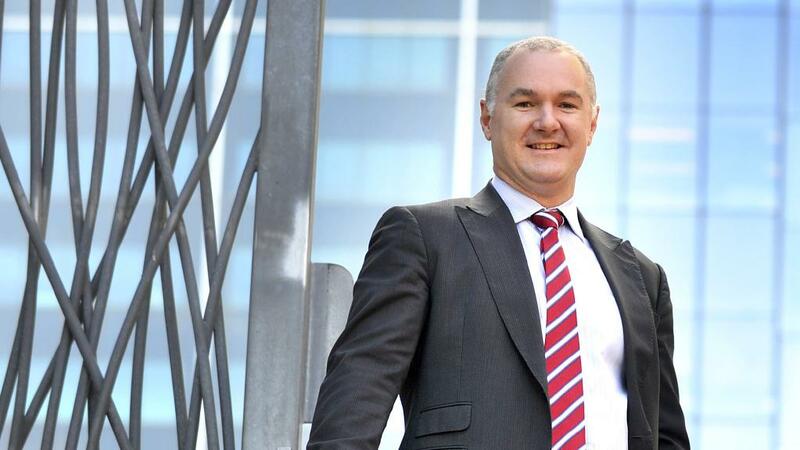 Real Estate Institute of Victoria CEO Gil King attributes the slowdown to the Melbourne Cup. “It was a slow auction weekend due to the Melbourne Cup Carnival. Regional Victoria continued to shine boosted by Echuca, Grovedale and Lara clearing all their listings resulting in an overall clearance rate of 69 per cent," he told WILLIAMS MEDIA. But Mr Desmier doesn't think Melbourne Cup celebrations play much part in what happens with auctions. "I don't think the Cup weekend has anything to do with it - if someone wants to buy a home they'll bid or get someone to bid for them. I think it's got everything to do with the volume of stock at the moment. There is a lot of stock passed in from previous weeks that auctions are performing with price wise, and with a clear change in the market some sellers are still hanging on to last year's prices and therefore not selling," he told WILLIAMS MEDIA. A preliminary auction clearance rate of 47.7 per cent was recorded across Sydney this week, improving on last week’s final clearance rate of 45.3 per cent. There were 801 auctions held across the city this week, which was only 3 extra auctions compared to last week. But demand for high-quality property hasn't died. McGrath Estate Agents has confirmed that its final tranche of government-owned Millers Point properties was sold under the hammer over the weekend. 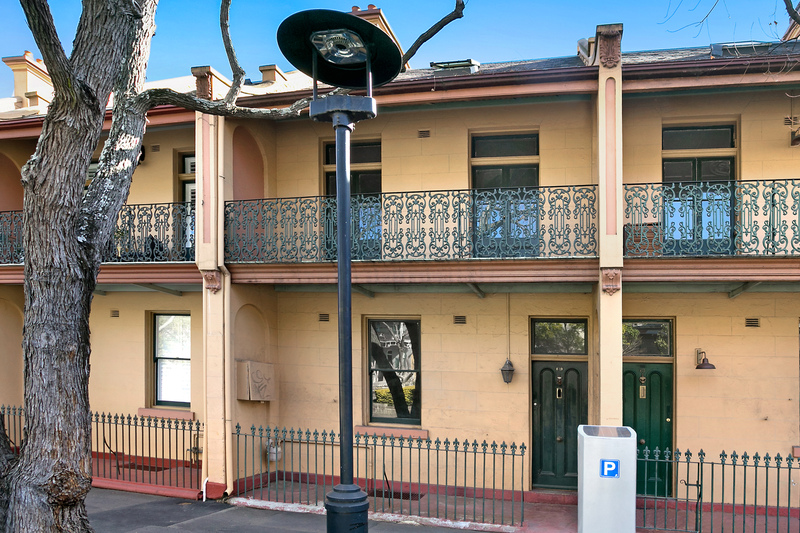 The last two remaining properties in the Millers Point program attracted strong interest due to their large size and heritage significance with 65 Lower Fort Street selling for $2.71 million and 69 Lower Fort Street selling for $3.051 million. “The Millers Point Sales Program gave buyers a very special and rare opportunity to purchase an original home of rich architectural heritage in an iconic part of Sydney. Positioned in a landmark setting, a short stroll from Sydney Harbour and the CBD – Millers Point will remain a highly desirable address that will continue to appreciate in value long into the future,” Mr McGrath concluded. Pictured: 69 Lower Fort Street, Millers Point. Image supplied by McGrath. McGrath agent Peter Starr said overall it was a very successful campaign with a large volume of groups through inspection. The auction began just after 2:30 pm on Saturday with strong competitive bidding for both properties from local young families wanting to move into the area. Mr Starr said, “It was an excellent result, with strong buyer activity as a scarcity of stock is available in this sought after precinct. 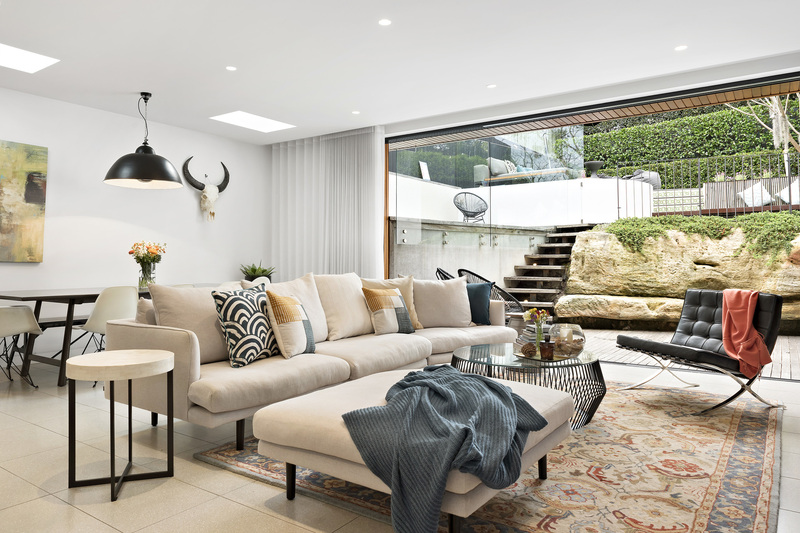 The terraces were particularly popular with homeowners as they presented a restoration opportunity to create a timeless family home in a highly unique and sought-after location," he told WILLIAMS MEDIA. 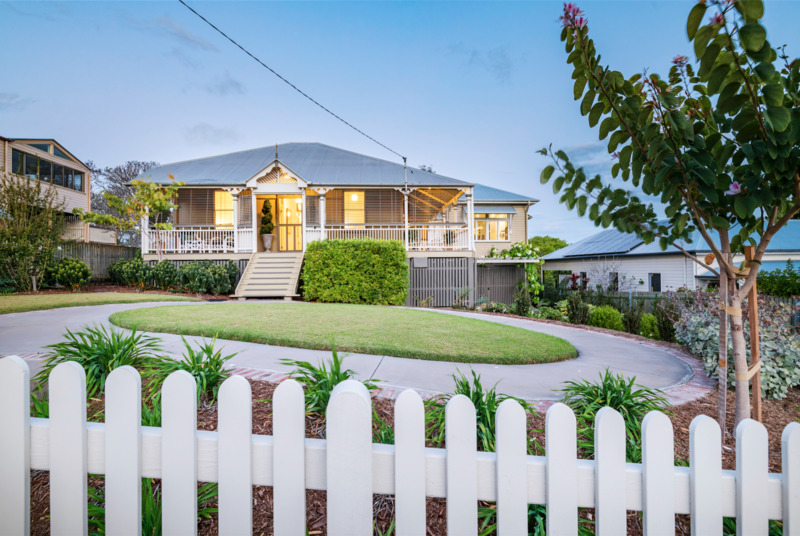 Across the smaller auction markets, Adelaide was the best performing in terms of clearance rates with 57.6 per cent of auctions successful, while only 33.3 per cent of homes sold across Brisbane this week. Pictured: 25 Duke Street, Bulimba. Passed in at auction via Cathy Richards of Place Bulimba, as seen on Luxury List. Auctioneer Justin Nickerson says the local market bounced back over the weekend. "The South-East Queensland auction market bounced back this weekend, recording a clearance in excess of 50 per cent. This was matched with an increase of registered bidders per auction, being over 2 per auction for the first time in a month. "Increased volume has continued, with this now likely to hold pattern until the traditional Christmas lull starting in mid-December," he told WILLIAMS MEDIA.